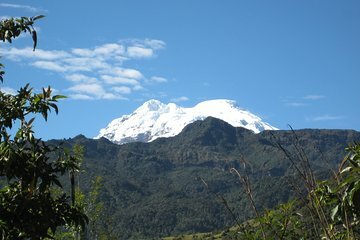 Make the most of your time in and out of Quito with this overnight excursion to the Artisan volcano and Papallacta hot springs. Travel 1.5 hours outside the capital city and spend four hours exploring one of Ecuador's most stunning rainforests. Navigate the highlands with your expert guide as you make your way to the top of Artisan volcano and gaze out over epic views. This is the perfect tour for nature lovers, who will get an incredible look at the country's diverse animals, plants and ecosystems.